This is a BK Servos DS-7002HV High Voltage Metal Gear Digital Standard Cyclic Servo. This beautifully constructed servo is for high speed cyclic applications and features a full aluminum case, thermal efficient coreless motor and high voltage compatibility, all while weighing 66 grams. 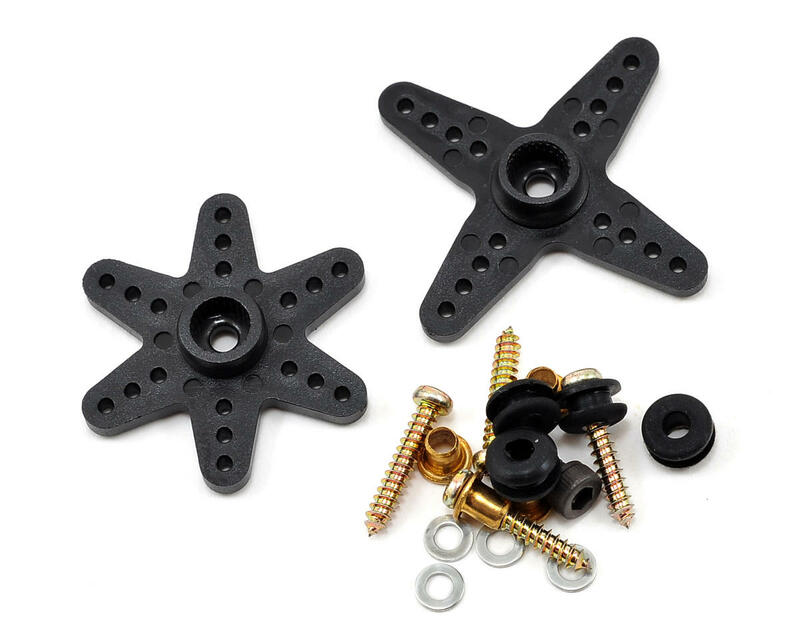 Also included with the package are black servo horns and hardware. I have bought 3 of these, and they have been on two helicopters, and have survived about 3 or 4 good plantings. I will say Im impressed with how long they have lasted, not so good luck with BK tail servos, but these have remarkably survived a lot. That said, one has developed gear slop unrelated to the crashes, and it flies poorly, so it may need new gears. Otherwise, not a bad product, gets the job done, if you like BK servos, go for em. 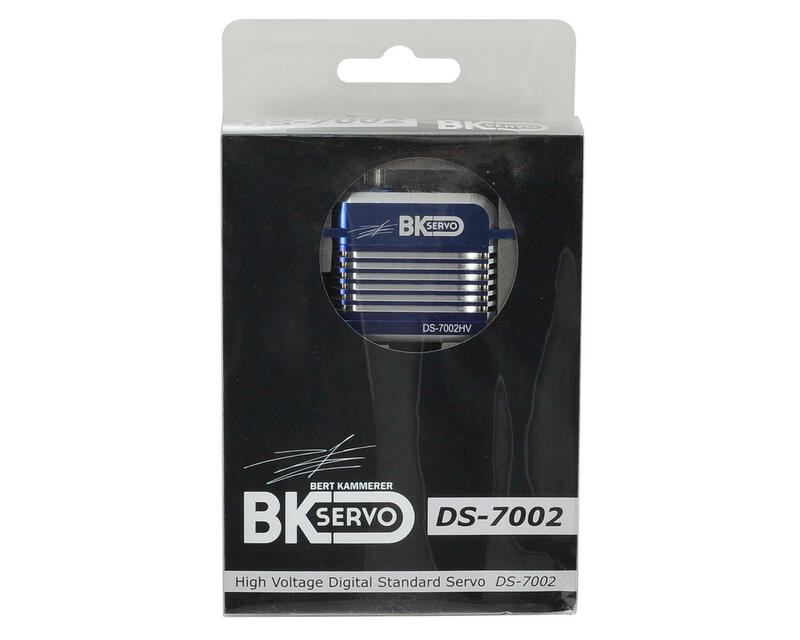 The BK DS-7002 is incredible!!! This one was put in my Align 700 DFC, and made incredible difference in control. I give this servo A+. I'm using this servo on a Hotbodies D413 4wd buggy and it is 2nd to none. The best steering servo I've ever used.. Super strong and responsive. I will be getting another one for my next buggy and going to try the High Torque version on a Wraith rock crawler. Will post a review on that one soon. 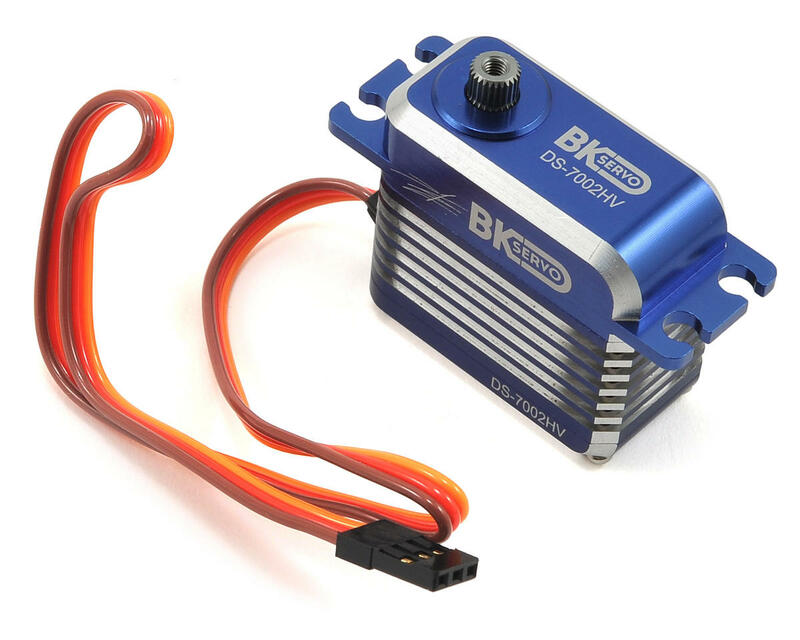 BK Servos are Impressive looking and have the performance to match. Keep RC heli's alive!